Meet Homicide Detective Noah Daugherty and his partner, Conner Crawford. Follow them through four seasons worth of cases full of hit men, stalkers, vigilantes, and serial killers. Each book is a stand-alone story with it's own mystery to solve. For Detective Noah Daugherty every season presents a new and demanding case to solve. This is winter, and his path leads him to an icy Houston street, where a car has careened out-of-control and crashed, its driver, a beautiful young socialite, is dead. All the clues lead straight to her husband, but Noah’s intuition screams the case is more than meets the eye. Not willing to give up until he solves this cold-blooded murder, he finds the unthinkable . . . a hitman no one saw coming, with a chilling personal agenda that now targets Noah. 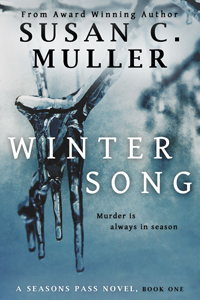 Can he solve the case and save himself before winter is finished singing her song? A Detective Noah Daugherty novel. Four seasons. Four cases. Each separate and unique. Because murder is always in season. This is spring and Detective Noah Daugherty faces a new challenge. The last thing he wants is to babysit some spoiled country singer, but that’s exactly what his lieutenant demands. Posing undercover as a member of the singer’s band, he makes it his mission to protect her from a stalker whose ominous threats have become increasingly personal. As things heat up, she hides a piece of her past that is key to solving the case, ashamed of the part she plays. 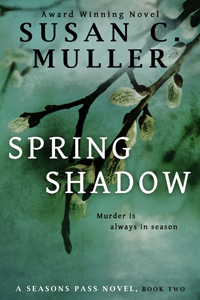 Can Noah unearth the painful truth before spring casts its dark shadow? A Detective Noah Daugherty novel. Four seasons. Four crimes. Because murder is always in season. 2016 Lone Star Writing Competition Winner! It's a scorching Houston summer, and a new case for homicide detective Noah Daugherty. When the high-powered CEO of Beneficial Products, a company dedicated to the production of healthy foods, is discovered drowned in her hot tub, what appears to be either an accident or suicide, quickly escalates into something much more sinister. As the body count rises, the link between victims becomes all too clear. 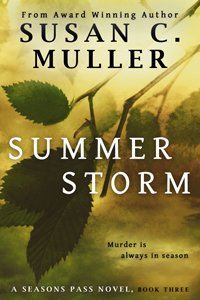 Can Noah find a killer bent on vigilante justice before the storms of summer strike? The harvest moon has arrived and homicide detective Noah Daugherty is drawn into a new and harrowing case when the search for clues leads him to the middle of a killing field. Desperate, he enlists the help of a woman from his past. Together they discover a serial killer, hell bent on reaping his own depraved version of social sanitation. As Noah continues his urgent search for justice, the demented madman seems to stay one step ahead, taunting him and threatening everyone he holds dear. 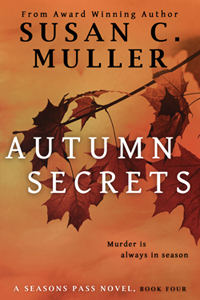 Can Noah put a stop to the killing, or will he be buried along with autumn's secrets. Detective Noah Daugherty didn’t join the force to dress up like a mall Santa. But when the chief’s grandmother is robbed at the local shopping center, Noah begrudgingly dons the beard and red hat. He assumes stopping the purse snatchers will be a cinch…until his partner is shot. 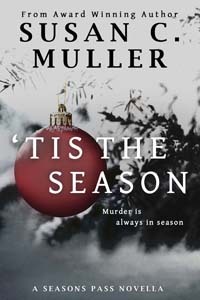 ’Tis the Season is a Christmas-themed mystery novella in the Seasons Pass series of police procedurals with action-packed suspense, intriguing mysteries, a Christmas romance, and holiday humor.